April 19, 2011, 10 a.m.
By Andrew Phelps April 19, 2011, 10 a.m.
Can a single app please both casual news readers and news junkies? That’s the question I found myself asking upon rereading that report from a couple weeks ago on iPad users’ reactions to The Daily. The report was put together by knowDigital, a division of market-research firm Coleman Insights, which asked more than 40 iPad owners to download The Daily and use it for two weeks. Sam Milkman, the head of knowDigital, interviewed participants afterward, and he found that even in a group that small, the needs of users were split. “Very quickly the participants sorted into these two camps,” he told me. One “was a heavy news user found that the depth and breadth of what was offered totally lacking. 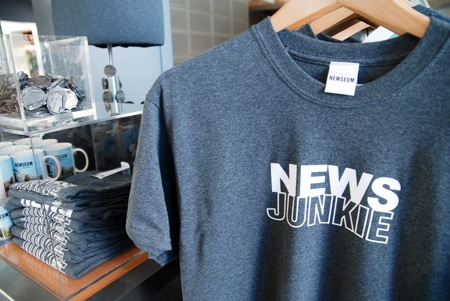 There was no way that this product was ever going to to satisfy his interest in news.” These are the news junkies: comfortable piecing together a news stream from multiple sources, including blogs and RSS feeds. And the other camp? Milkman described another user was “completely enthralled by this product. She is not really into the news. She quickly says, ‘It gives me just the right amount of national and international news,'” Milkman says. (Although: “This is new to her because she’s not heavily into technology to begin with. And the glitz and the glamour of it draws her in.”) These are casual readers who depend on fewer sources of news. The app was a hit with this group. Both kinds of readers wanted different things from The Daily. The junkies wanted deeper, broader news coverage, better sports coverage with more personality, and the addition of financial news. They complained the material was too generic, even voiceless. The casual readers showed little interest in international news and asked for coupons. Sports news looked odd next to the gossip. “The Daily may be guilty of trying too hard to cover too many bases by offering content it hopes will appeal to the wide range of current and potential iPad and tablet owners, but in the end appeals to only a small niche of consumers with superficial interest in the news,” Milkman writes in his summary of the study. And that raises a question for news app developers. A traditional print newspaper was designed for the needs of different kinds of users. Want just the sports, or just the crossword, or just the hard news from city hall? The layout and sections of the newspaper made it relatively easy for different users to interact with the paper in different ways. But one of the main benefits of many iPad apps is their ability to create a guided, unified experience, like the story-to-story scroll of The Daily. News apps are about coming in the front door, not through the side doors of search results or social media links. And that puts more pressure on the front-door experience to satisfy different kinds of users — the casual readers and the news junkies. People also make different assumptions about paying for apps. It’s familiar to pay recurring fees for daily newspaper delivery, but you pay for apps once. The participants in Milkman’s study were uniformly resistant to subscription fees, including those who engaged with The Daily the most favorably. Photo by petitpor used under a Creative Commons license. POSTED April 19, 2011, 10 a.m.
Phelps, Andrew. "The app divide between casual readers and news junkies." Nieman Journalism Lab. Nieman Foundation for Journalism at Harvard, 19 Apr. 2011. Web. 25 Apr. 2019. Phelps, Andrew. "The app divide between casual readers and news junkies." Nieman Journalism Lab. Last modified April 19, 2011. Accessed April 25, 2019. https://www.niemanlab.org/2011/04/lessons-from-murdochs-pricey-experiment-casual-readers-consume-differently/.